Captain Ed’s First Mate is doing fantastic, and so is her donor. This National Rally will be held simultaneously in Los Angeles, Boston, Columbia, Missouri as well as Orlando, Florida. PC-“police” in co-operation with organizations like CAIR are continuing to control the information-highway; withholding the truth about Jihad through intimidation. We must stop the deception! The World-Wide Jihad against our Western Culture and the control of our American Press by such apologists as CAIR is real. The intimidation is real. And the American Public must Wake-Up to this threat; a threat to our schools, our culture and our public safety; slowly eroding our laws and our safety from within through lack of Public Awareness. Please join us at Ground Zero on March 31st, 2007. This will be a joint effort of organizations with a common goal of educating others to the dangers posed by Radical Islam. “This is an opportunity for people of all walks of life to come together, setting aside political or religious differences.” remarks United American Committee Chairman Jesse Petrilla, who also noted that Muslims are especially encouraged to join in the rallies. Also, meet the blogosphere: live! Those who help in this fight to tell the truth about Radical Islam, such as KesherTalk, WhatAreTheySaying, UrbanInfidel and ThePeoplesCube, amongst many others. All will speak to these on-going dangers; what we must do to protect ourselves today and to save our tomorrows for our children and our children’s children through Public Awareness and Legislation. Can anyone imagine Mrs T wringing her hands in this way over Iran’s seizure of our Marines? Argentina has toughened its stance over the disputed Falklands Islands, days ahead of the 25th anniversary of its invasion of what it calls the Malvinas. I’m not the only one asking. We will discuss the Falklands, and Latin America. Jules has Good news and bad news. Via Maria, The influence of George Soros. Rosie: “For the first time in history steel was melted by fire.” Wrong Rosie: steel is melted by fire each and every day around the world. What’s melting are the few neurons left in what you call a brain inside your head. Be sure to tell yourself that whatever has happened to you, it is not your fault. Be a post-post-modern American. Be an eternal victim. You’ve got it coming. When the going gets tough, blame your genes and demand that all share your pain, send you a check, and pay extra for medical research to cure what ails you. For free. It’s you’re right written right there in the invisible ink between the lines of the Constitution. When the going gets really tough, blame George Bush, the center of all the evil that is America. Besides, the people that really want to kill you are far too numerous and far too dedicated to your death to contemplate. It is much lighter on the breaking brain to believe that George Bush wants to kill your right to dissent even if it is much harder to see. Your real enemies are far too frightening to contemplate. Your secret hope is that they’ll burn you in an instant in some thermonuclear fire so you don’t have to be around to put everything back together. Don’t think for a minute that you are unraveling what is left of your social fabric. Who needs clothes in the dark? You are only taking advantage of your First Amendment rights. What was the Second one? Oh, that’s the bad one. Then there’s 5. And the others? Who remembers? Who can count that high these days? The excerpt from Gerard’s post doesn’t do it justice, so make sure to read it all (thank you Larwyn). The United States remains the UN’s largest contributor. We pay 22% of its regular budget, and about 27% of its peacekeeping costs. On top of that, we give generously to support the work of UN agencies providing humanitarian relief, electoral assistance, food aid, and more. When are we going to wake up? I was going to blog about the troop withdrawl bill and the Democrat’s proposal for the largest tax hike in American history. 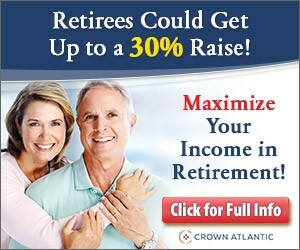 I find both subjects profoundly depressing: One will get us killed, the other one will get us broke. And the Dems will pass both with, as they say in Spanish, bombo y platillo, which literally translated is drums and cymbals, or in Monty Python’s words, “with much rejoicing”. That will be the soundtrack of their grab for power, the echoes of which the Caliphate Islam will no doubt replay for propagandistic purposes. The same Caliphate Islam that denies its followers the pleasures of music. I had outlined the post but before I finished it I was thinking of going to a lecture at the University discussing Presidential legacies and possibly using something from that lecture. However, even when the person giving the lecture is not a Bush hater, I know that the audience will be filled with people who actively despise the President. Their hate feeds their complacency which feeds their hate. A couple of months ago I was at a lecture where being surrounded by such a crowd had a toxic effect on me. This afternoon I decided I’d pass, both on the lecture and on the post (I would have been at the lecture right now). I’m saving my energy for Saturday. Certainly a song for our times. It’s been a day for songs. But the lecture was interesting, in that the destructive force of Grendel is awakened by the song of the world. Is the destructive force of our time awakened by the songs of our world? The songs of Grace, the songs of joy, the songs of love, the songs of heartbreak, all the songs we are free to create, and sing, and buy, and play – the songs that the evil in men’s hearts will try to stifle? One can’t help but wonder. He said George W Bush’s support for the use of food crops in fuel production would cause 3bn deaths from hunger. 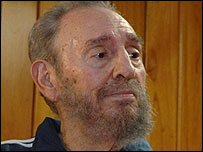 The article in the Granma newspaper did not mention Mr Castro’s health. The article is written in the same kind of apocalyptic style Castro typically adopts when discussing the impact of U.S. international policies on developing nations. ‘Fidel’ now tells us ethanol is sinister. Will the Left be repeating his line? You betcha. As more and more corn grain is diverted to make ethanol, there have been public concerns about food shortages. However, ethanol made from cellulosic materials instead of corn grain, renders the food vs. fuel debate moot, according to research by a Michigan State University ethanol expert. “The evidence indicates that large-scale biofuel production will increase, not decrease, world food supplies by making animal feed production much more efficient,” Dale said. The real reason Fidel thinks ethanol is sinister is because it is a threat to his Communist Revolucion, be it in Cuba, in Venezuela, or elsewhere. As a Cuban minister recently said, “in order for the revolution to survive, it needs the poor”. Countries that do not produce sugarcane but have ethanol processing facilities are benefiting from being exempt of the onerous ethanol tariffs. And that wealth won’t be limited to Latin America: Just this week the World Bank is helping Brazil export ethanol technology to African countries such as Ghana, Angola (where Fidel tried to export his revolution by sending troops), and Mozambique. On a more personal note, I’m sure Fidel must be particularly incensed that sugarcane is bringing wealth to the region, after he ruined the Cuban sugar industry. And let’s do it right, by abolishing all farm subsidies and tariffs. The lesson of our time, a decade and a half after the fall of communism in Europe, is that the slow, almost geological, accumulation of little bits of heroism throughout society can bring down a totalitarian giant over time. These acts of heroism, both inside and outside the structure of power, constitute the best hope for countries in which governments continue to enslave millions of people today. But even if these acts of silent heroism are not enough to cause all despots to come tumbling down, they are at least enough to keep the human spirit alive. That is a comforting thought. Via Dr. Sanity, who today explores the economic interaction of humans.